There are not too many sports cars that have stayed at the top of their segment for more than 50 years, but two that have are the 2018 Porsche 911 and the 2018 Chevrolet Corvette. These cars go fast, but they do a lot more. The each offer exquisite handling and iconic looks. You’ll enjoy test-driving both, but in the end we think the sophistication of the Porsche 911 will win you over. The engines powering the different versions of the 2018 Porsche 911 are flat-6, or boxer, engines, all with twin-turbos except for the naturally aspirated 911 GT3. The top model is the all-wheel-drive 911 GT2 RS with a 3.8-liter twin-turbo, putting out a head-snapping 700 horsepower and 553 lb-ft of torque through your choice of 7-speed transmission – manual or dual-clutch automatic – and good for a zero to 60 mph time of 2.7 seconds. The top 2018 Corvette is the Z06, outfitted with a 6.2-liter supercharged V6 that delivers 650 horsepower and 650 lb-ft of torque, powering the rear wheels through a 7-speed manual or 8-speed automatic. It takes 0.25 seconds longer than the Porsche to hit 60 mph. The Porsche 911 seats four, which is two more than the Corvette. Admittedly small, the 911 rear seat is surprisingly useful. The driver’s seat is upright and feels very natural, making the Porsche an excellent daily commuter. The front seats have 4-way power adjustment and partial leather upholstery. The two seats in the Corvette are properly shaped for commuting as well. You can add heating and ventilation if you wish. The 911 comes standard with Porsche Active Suspension Management that utilizes active dampers to optimize the ride, especially in corners. You can specify rear-wheel steering that increases stability and maneuverability. The Front Axle Lift System spares the the 911’s front fascia from road scrapes via hydraulics that lift the car 1.5 inches at speeds up to 37 mph. Dynamic Chassis Control eliminates body roll with a network of sensors and hydraulic motors. Corvette offers Magnetic Ride Control to smooth out the ride. 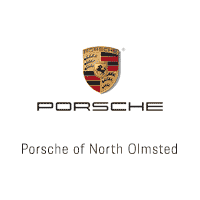 We invite you to visit our Porsche dealership to check out the 8 different 911 models in three body styles, in either RWD or AWD configurations. We carry a large selection, and our customer service is every bit as impressive as the cars we sell. Hope to see you soon!